This page was created in Harold Gene White's honor to pay respect to all fallen divers. If you would like us to add a diver just forward us their information and we will be glad to add them to our page. Harold E "Gene" White Jr.
Harold E. "Gene" White, Jr. left us while exploring the wreck of the RP Resor 130'sw off New Jersey on May 16th 2009. 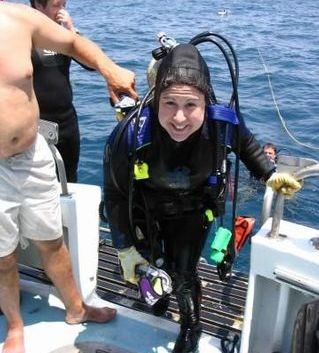 Cara L. LaDouceur of Mantua, NJ, passed away May 1, 2010, in a scuba diving accident while diving in 54 degree water about 8 miles east of Long Beach Island. 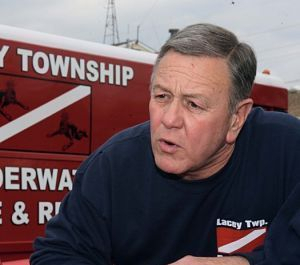 Gary Smith, 61, was a founding member and chief officer of the Lacey Township Dive Team and had been teaching underwater search and recovery for decades. 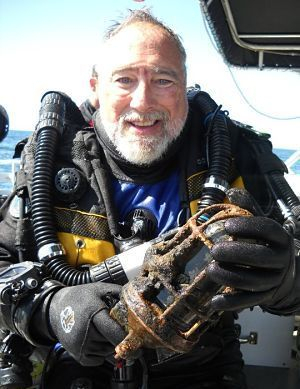 Gary passed away on May 22nd 2010, while diving off the Dina Dee about 11 miles east of Barnegat Light. 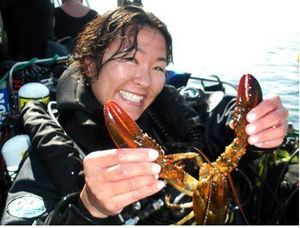 Yasuko "Fiasco" Okada left us on July 31st 2010 while exploring the wreck of the Arundo, a World War II wreck in 110 to 140 feet of water, located in the fishing grounds known as the Mud Hole. Jeff Gershen was a husband, father, dive instructor and real estate developer. His friends state that he was easily one of the most engaging, smart and caring people they have ever met. As a passionate diver he was quite accomplished. He was a Cancer survivor and sorely missed already. Jeff left us while exploring the wreck of the Oregon which lies in 130'sw.